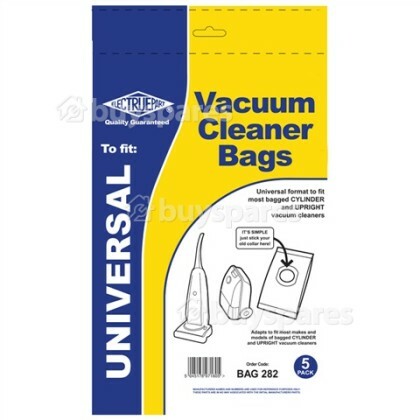 When you can no longer find bags available for your vacuum cleaner try these SOS bags - simply remove the cardboard collar from your old bag and stick it directly to this SOS bag. 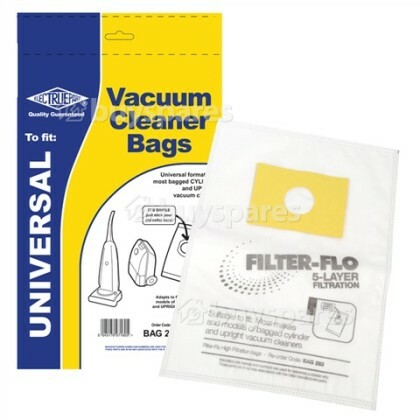 These alternative vacuum bags with Filter-Flo design will keep airflow at its best, which means that you won't lose suction in the middle of cleaning. 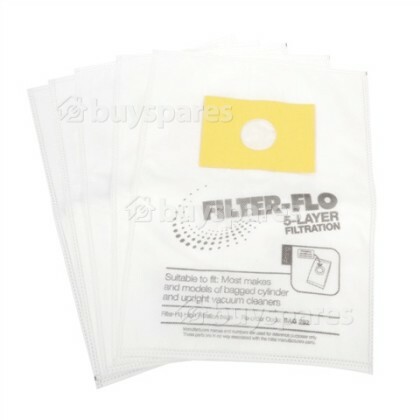 The Filter-Flo 5-layer Filtration dust bags have up to 50% longer usage life since the dust is absorbed into the fibres without blocking the pores, thus avoiding reduction in suction power. 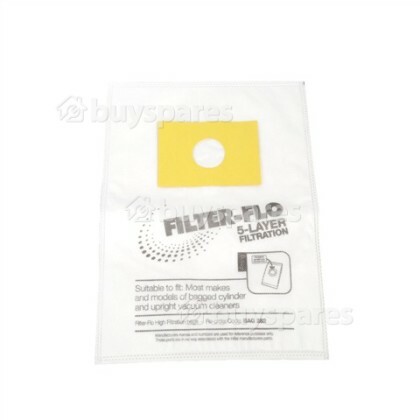 The Filter-Flo dust bag filters the air 40% more efficiently than a normal paper bag and helps you get rid of airborne particles such as, for example allergens and some bacteria. Ideal for people with allergies. The filtration process produced by these bags is done so in various stages. The inner layer performs the role of the first filter – which prevents the pores from being blocked, and therefore helps the bag to retain its strength. The middle layer offers great filtration for dust, leaving your home environment in a healthier state at the same time as improving the performance of your vacuum. 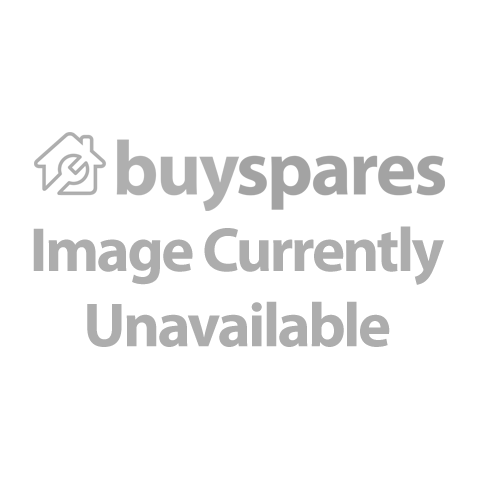 The external layers of the bag provide a high level of tear resistance. Did you know that you should be looking to change your vacuum bag every month, and sometimes more if you have pets such as cats or dogs, or just have a lot of carpet to clean! Fits most bagged cylinder and upright vacuum cleaners easily, but please check your bag dimensions to ensure that this product is suitable.